Beijing recognises Taipei's importance as an international stopover for Chinese nationals travelling to other destinations. Direct flights across the Strait are also set to increase in April to 858 each year. 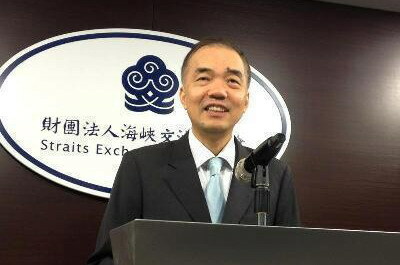 Taipei (AsiaNews) - Taipei and Beijing have decided to increase the number of flights from the mainland to the island as a stopover for other destinations in order to bring the two sides of the Strait closer together, said Ma Shaw-chang (马绍 章), deputy secretary-general of the Taiwan's Straits Exchange Foundation (SEF (海峡 交流 基金会), which manages cross-strait relations. The purpose is to make Taiwan a major transit point for Chinese tourists travelling to other destinations, the official said. The agreement follows a string of trade deals between Beijing and Taipei, which boosted ties over the past six years. Talks made great stride on 11 February 2014, when the two governments began "the most important bilateral talks" in their history. After several attempts by the Taiwanese, there was finally a positive response on 21 February from the mainland regarding the issue of Taiwan as an airport hub for at least some Chinese tourists. "After Taiwanese representatives explained and pushed for this topic, representatives from mainland China finally considered that Taiwan's proposal on the issue makes sense," Ma said. "The mainland China representatives not only agreed to use written statements to show the mutual agreements on the topic but also agreed to study the possible measure to carry out the issue." Taiwan is investing heavily in the development of Taoyuan International Airport, a few kilometres from Taipei. By becoming an important hub, direct flights between Taiwan and the mainland will benefit business people and tourists with considerable advantages for both sides. Last week, the two governments added 158 new flights starting in April between the island and the mainland. With this increase, the total number of flights across the Strait will jump from 670 to 858. This is huge considering that until 29 January 2005 no direct flight existed between Taiwan and China since the end of the civil war (1949).